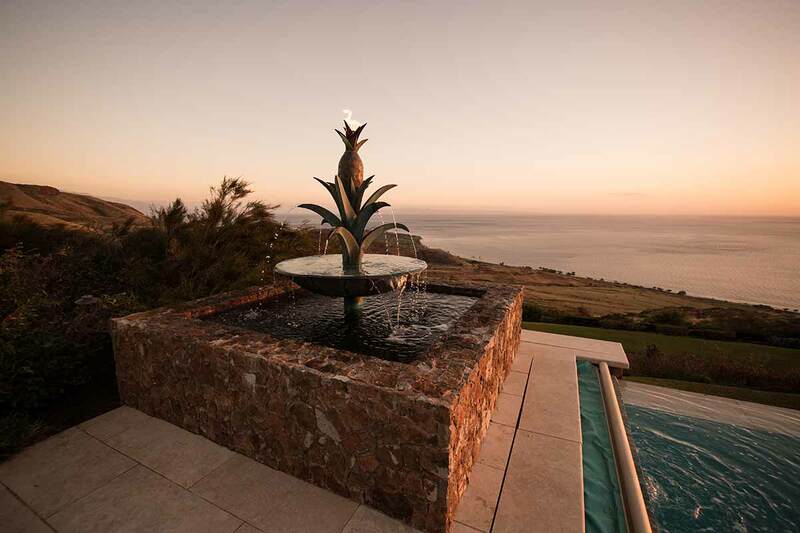 Nestled on the side of the mountain in Launiopoko Maui, this custom home is elaborate in detail and design. 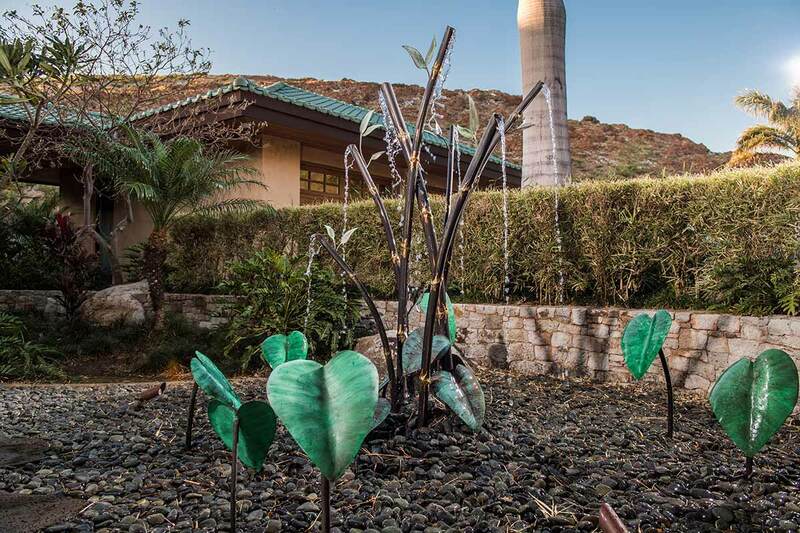 This project was truly all inclusive with a range of functional and decorative sculpture. 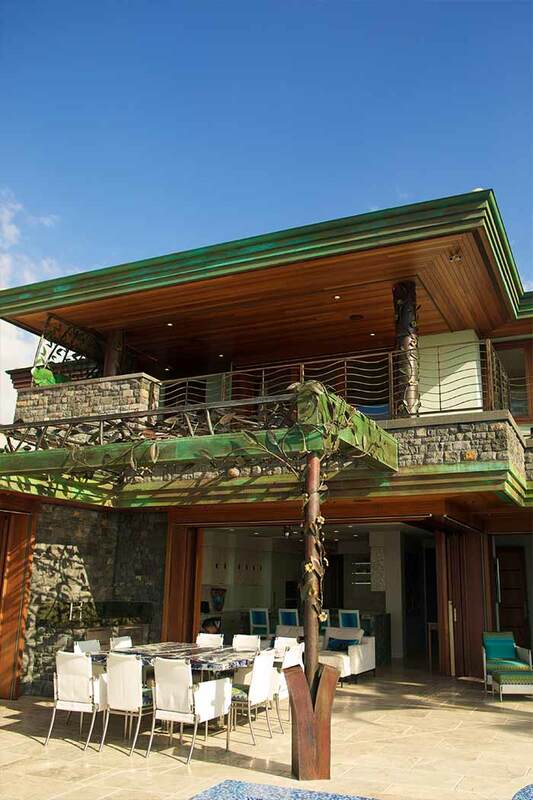 From the main entry gates and custom column lights, to the fire and water features and custom ceiling sculptures, Padilla Designs transformed this beautiful home into a custom work of art. 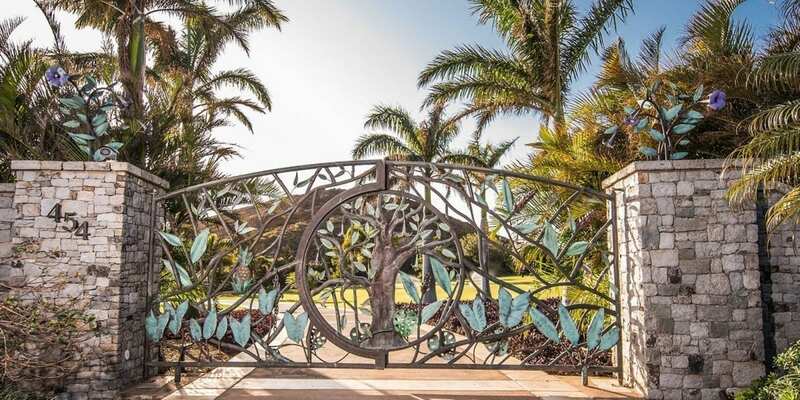 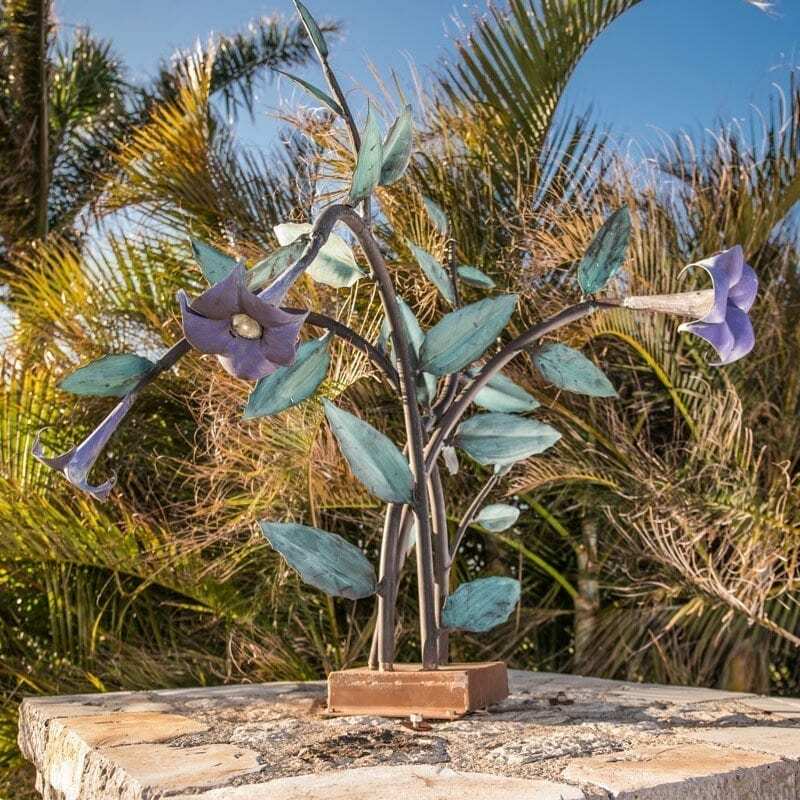 Inspired by the mountain in the background this entry gate offers a mountain silhouette with fertile growth of tropical foliage surrounding a fully sculptured angel trumpet tree. 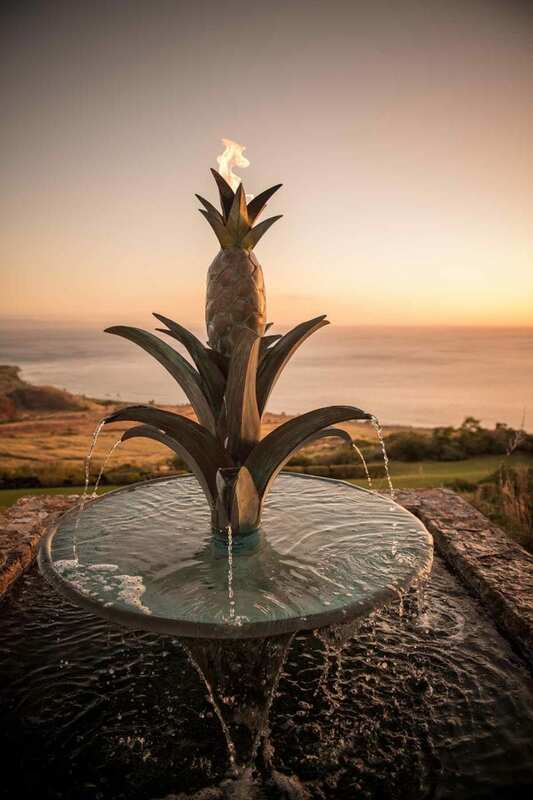 There is sculptured red ginger flowers, taro leaves and a small golden brass pineapple. 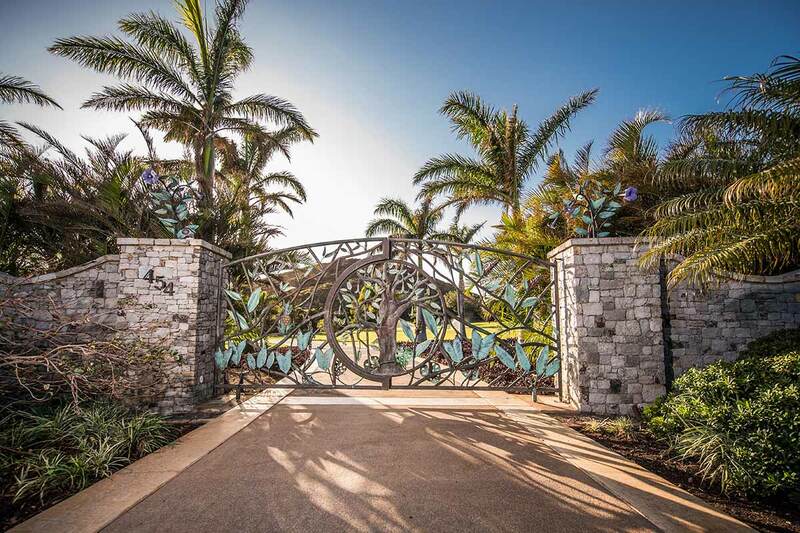 The gate is completely three dimensional and just as beautiful from the back as it is the front. 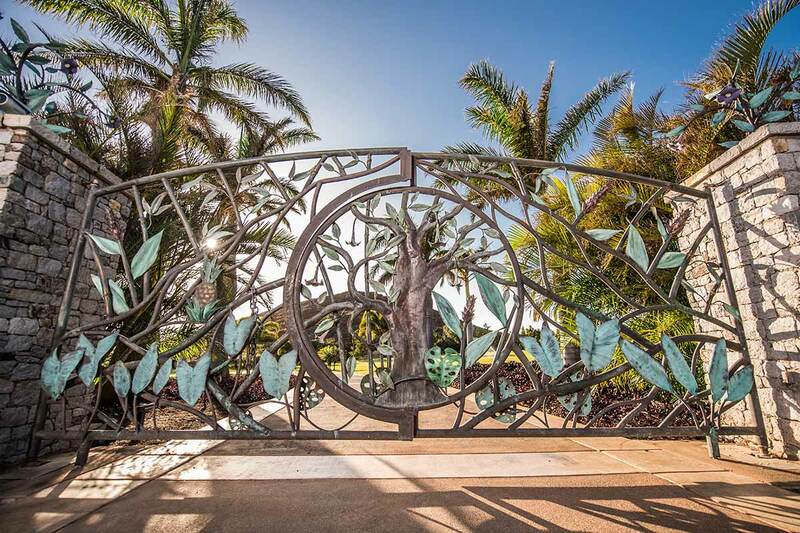 The column lights are sculptured angel trumpet branches with housings for both lights and security cameras. 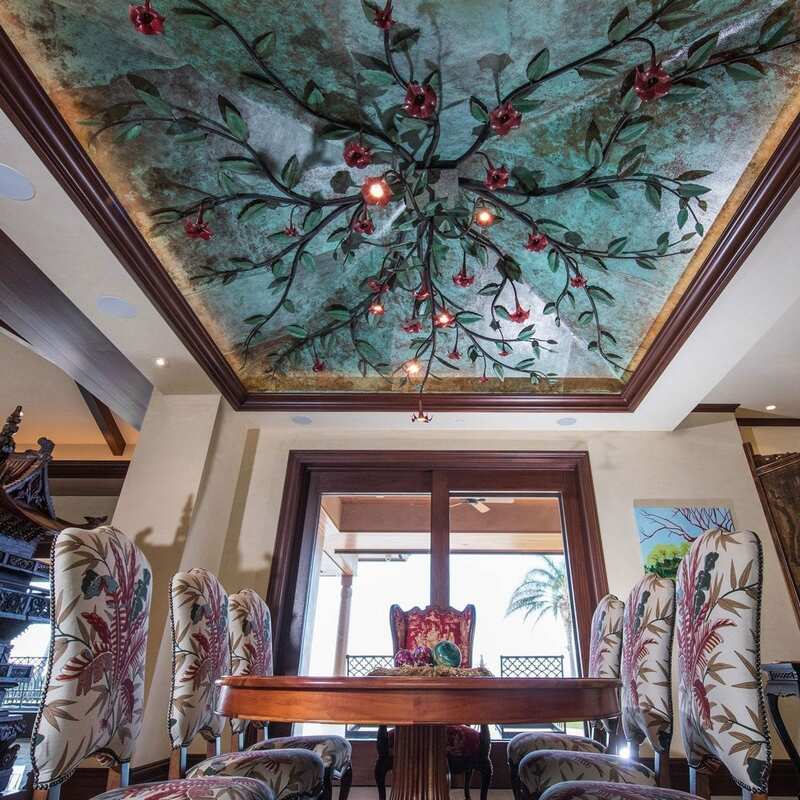 The grand dining area and the master bedroom both have lighted alcoves that incorporate our signature decorative ceiling sculptures. 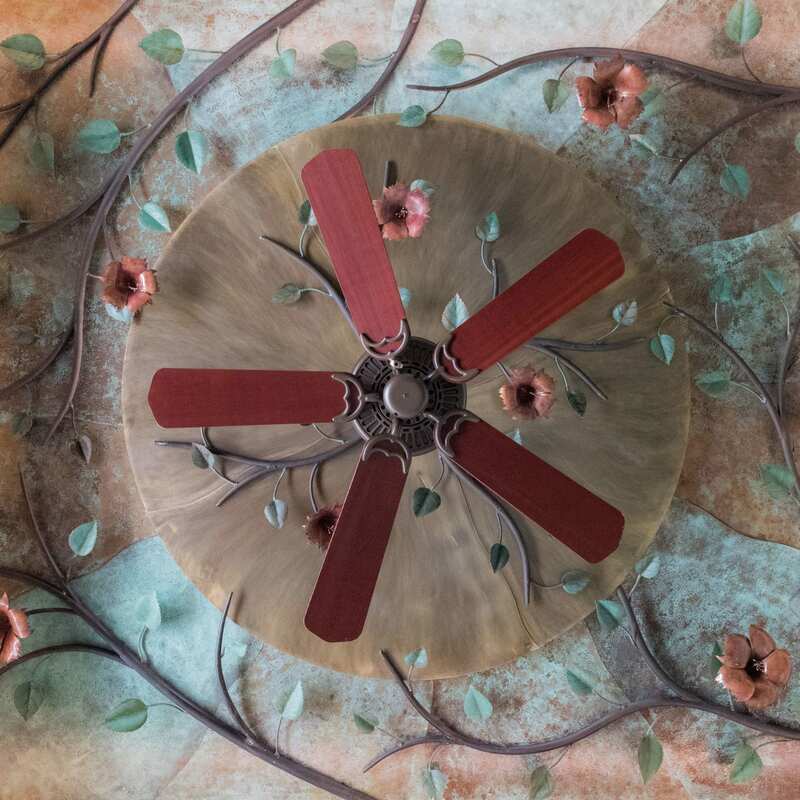 The grand dining alcove was clad in textured copper and layers of angel trumpet branches were layered together as if growing from the center. 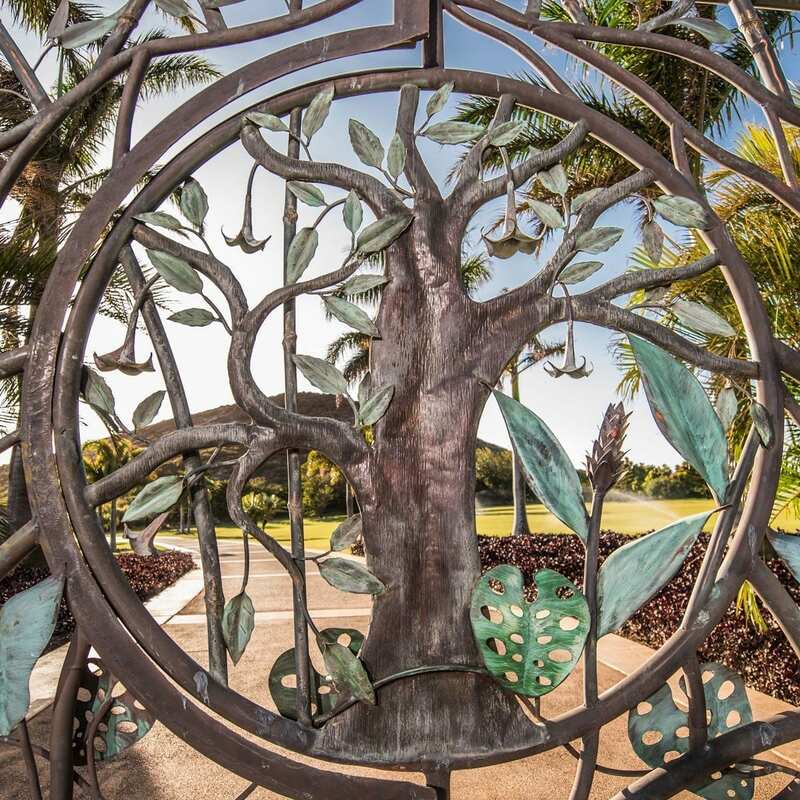 Each branch carries wiring that feeds the light nestled in each of the angel trumpet flowers. 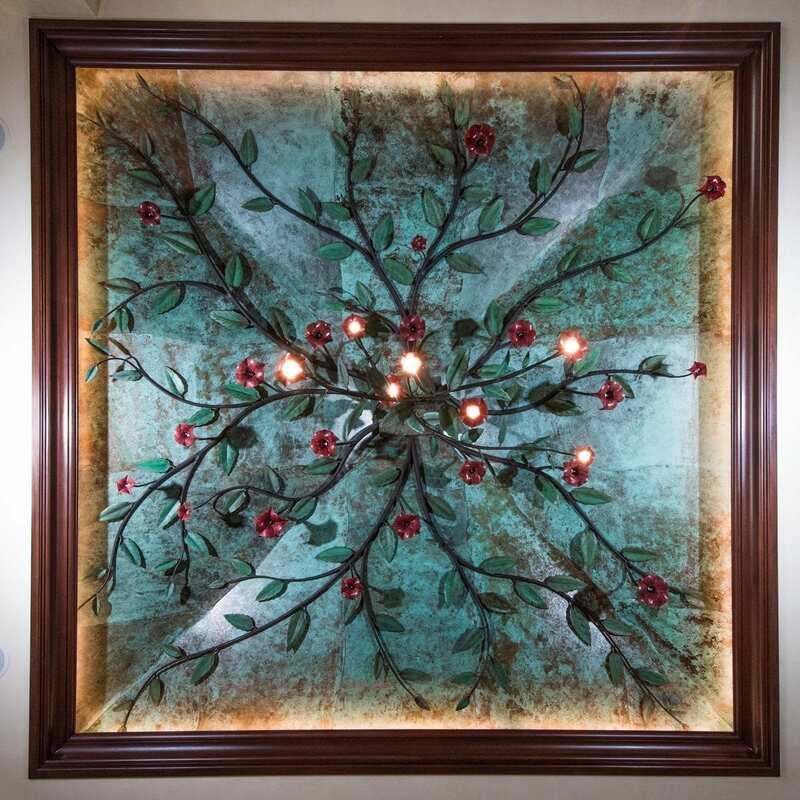 The master bedroom ceiling offers a hibiscus design with delicate leaves and heat treated flowers. 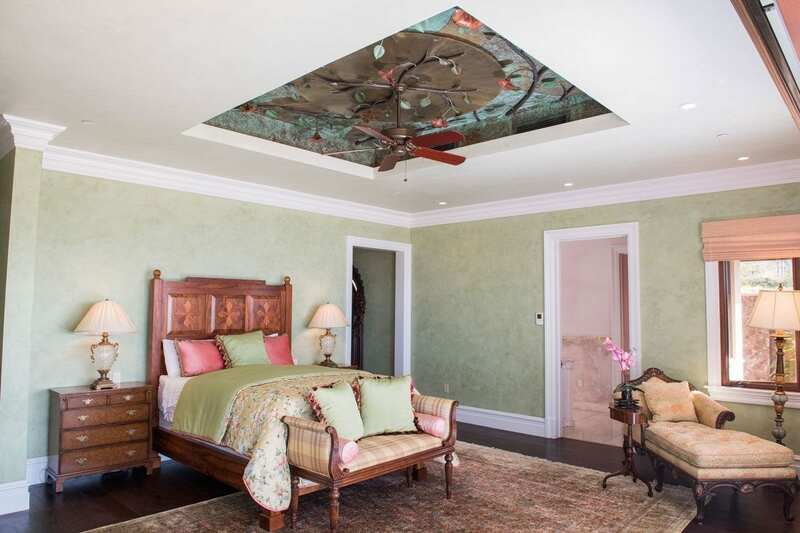 With dimming surrounding lights you can lay in the bed and be lost in the tropical canopy. 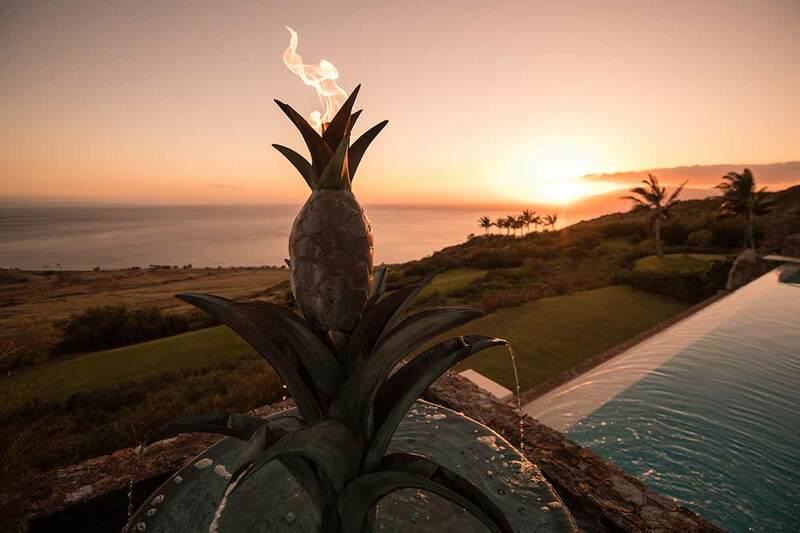 With a tremendous ocean views the grand lanai’s ambiance is brought alive with two custom pineapple fire and water sculptures. 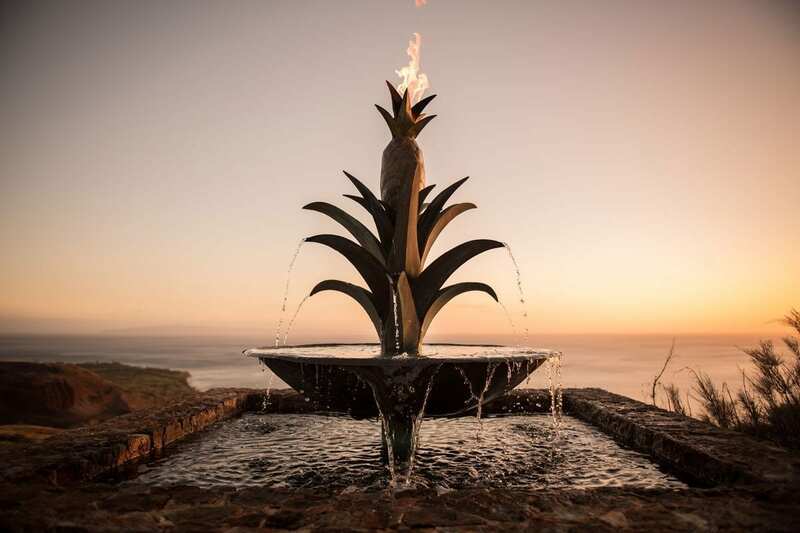 The movement of the water and fire and the silhouettes of these sculptures will naturally calm and relax the surrounding atmosphere. 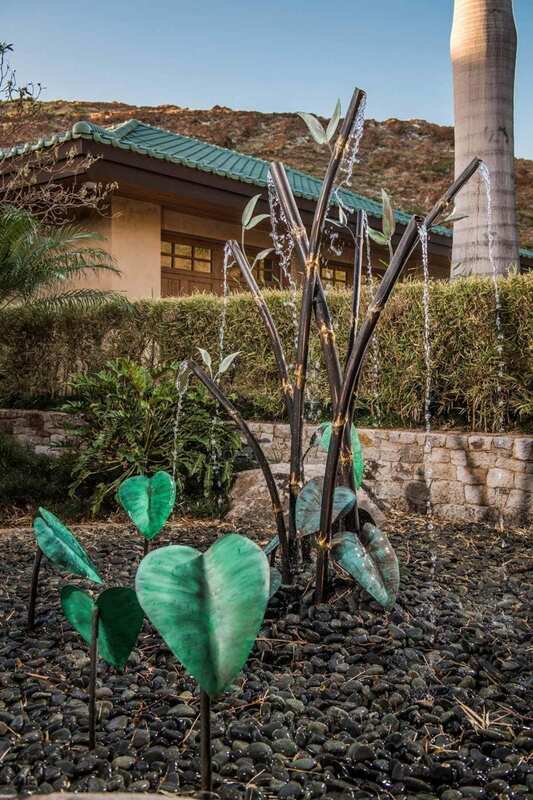 This stand of copper bamboo and nestled taro leaves adds tranquility with the sound of running water. 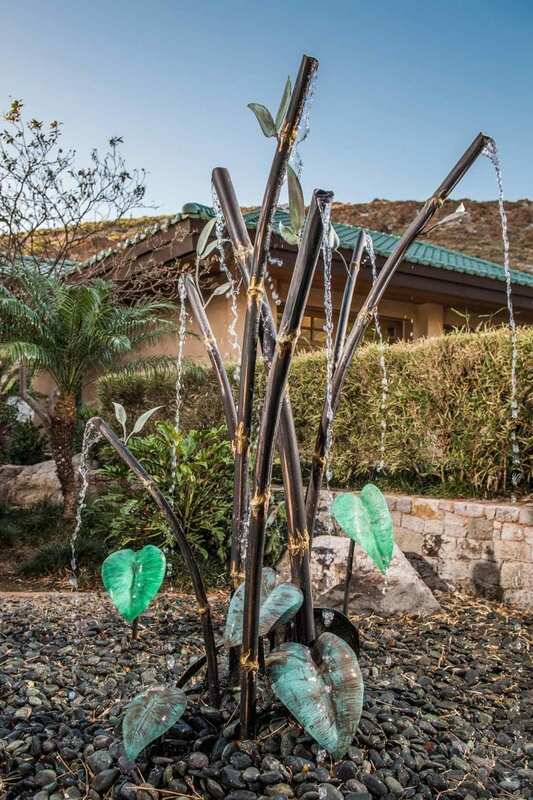 Just outside the kitchen in a courtyard the sound of the 7 bamboo fountains dances through the house.